Good Cleaning – Just as you brush your teeth every day, getting into a good routine for cleaning your dentures is important. However, don’t use toothpaste on your dentures because these are too harsh for the denture material and could even damage them. The best way to clean your dentures is to use a soft bristled denture brush, specifically designed for this task and water to carefully clean the entire surface. After each meal your dentures should be rinsed with water. Good maintenance – When cleaning your dentures, it is recommended that you half fill the bowl with water so if you drop them, they won’t fall into the sink and break. When you aren’t wearing them, you can place them into a container filled with cool water or a cleaning solution specifically for dentures. This will stop them from drying out. If your dentures feature metal attachments, the cleaning solution can cause the metal to become discoloured or tarnished. Also avoid soaking your dentures in hot water because this can also damage them. Denture Use – It is advised that you remove your dentures when you go to sleep every night. This gives some time for the gums underneath to rest a little. If you use a solution to clean your dentures that you use to soak them every night, make sure that you thoroughly rinse the denture before placing it back into your mouth the next day. 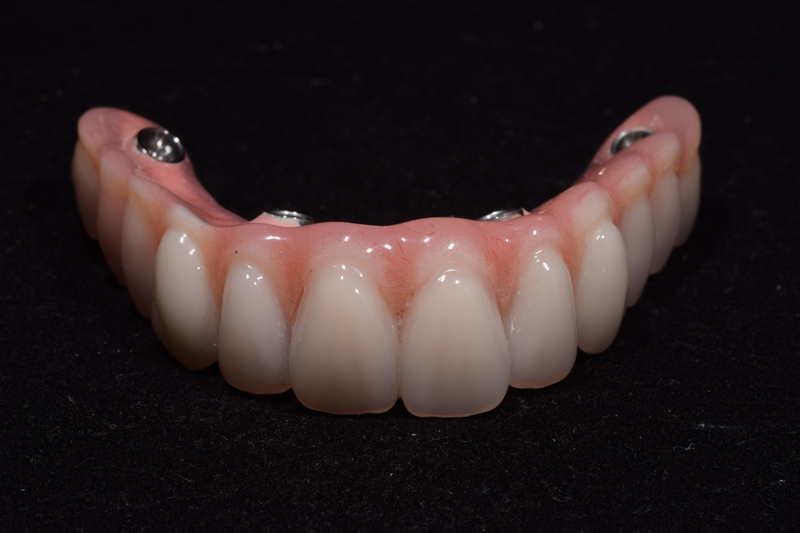 Handling – When handling your dentures to remove or clean them, make sure that you handle them with care, being careful not to damage any of the clasps. Hygiene – Clean your mouth thoroughly after removing your dentures using a soft bristled toothbrush to gently clean your natural teeth and tongue. If you use denture glue to secure your dentures in place, make sure you clean all of the residue from your gums. If your dentures become loose because the movement associated with routine eating and drinking can cause the dentures to rub on your gums resulting in sores, irritation and if left untreated infection. Good denture care is important. Your clinical dental technician will advise how often you need to visit to arrange a check-up. During this appointment the dentist will check that the dentures still fit properly, and they will also give them a professional clean.